Press In Your Presence!!! This is a beautiful worship song that you will LOVE to hear!! Shana Wilson is a blessing!! Take a listen now!! Shana has written a number of songs which include, Press In Your Presence, You are Holy, Lion of Judah, So Amazing, and Shout to the Lord, that are all on her debut album “The Nations Are Waiting”. 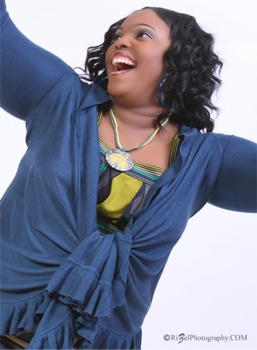 Shana grasps hold of radical praise and worship that breaks the chains which causes others to be bound! She has grown to love and accept her calling to break strongholds off of all who experiences the ministry of song that God has birthed in her through her testimony in her walk with God. 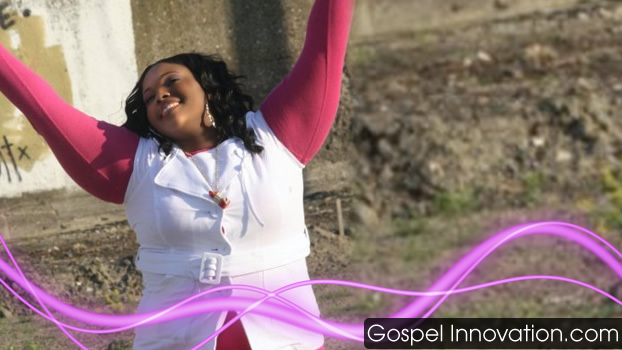 Shana Wilson has ministered from her heart to the heart and soul of many others. Her goal is to always draw someone closer to God through the anointing and the leading of the Holy Spirit while ministering. Shana has such a passion and love for God’s people. She loves children and enjoys ministering, mentoring and empowering youth to embrace the fullness of Jesus Christ. Her desire is to share the message of hope, grace and the love of Jesus Christ to people that are abandoned and lost all over the world. Shana also desires to start a non-profit organization through Shana Wilson ministries that will sponsor children that may be orphan, less fortunate, have limited resources, or living in single parent homes. It will provide ways and mentors to sharpen their gifts and talents and find avenues that will allow them to put them to use in the kingdom of God. With the leading of the voice of Jesus, these things will happen in God’s timing. Her educational resume includes a diploma from Martin Luther King Jr. Sr. HS in Detroit, MI, where she enjoyed singing classical, traditional, contemporary Christian and gospel music as a soloist, she was also in the women’s chorus, concert choir, and the Madrigals singers under the tutelage of Mrs. Alice Lloyd. She studied at Morgan State University as a Music Major in Gospel & Classical Music under the tutelage of Dr. Nathan Carter. She’s also enrolled in school in MI finishing up her degree. In preparation for where God was taking Shana, she won 1st Place in the Vickie Winans’ “New Rising Star” contest 2006 for the state of Michigan. Truly she is a worshipper, lover of Christ and his people, psalmist, songwriter, inspirational speaker and exhorter, who enjoy using her gift for the Lord Jesus Christ. Upon being asked where does her worship derive, Shana’s response is always the same “My worship is born out of my relationship and experience with the Lord”. She strive to encourage people to get to a place in their worship and relationship with God that will leave a lasting impression of God’s love on them. Allow your hearts to be open to receive the ministry that God has deposited into this mighty woman of faith. Her whole Cd is dabomb.com! This woman is truly anointed!